Experience a new level of anti-ageing with PAR Skincare’s most efficient wrinkle interceptor. PAR Skincare Anti-Ageing Face Regeneration Emulsion is based on powerful extracts of Edelweiss stem cells, and is enriched with power peptides. The emulsion is specially formulated for repair and revitalisation of the skin. 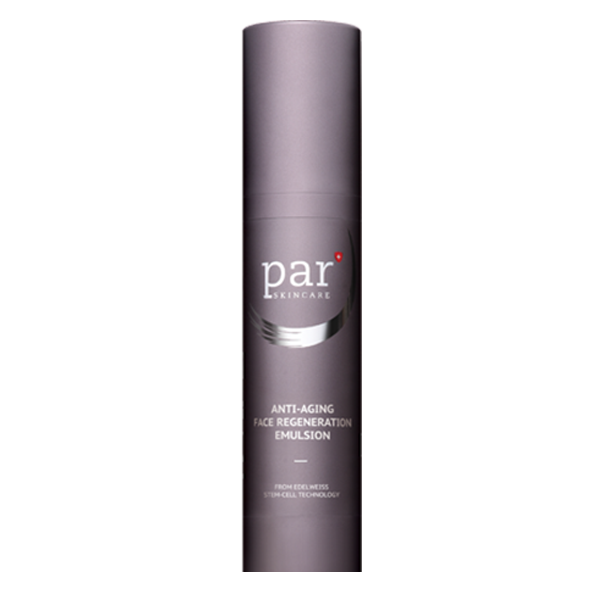 PAR Skincare Anti-Ageing Face Regeneration targets the cells that makes the skin look younger, and activates your skin’s natural anti-ageing mechanisms, while enhancing collagen growth. Over night. Experience a new level of timeless beauty. Visibly younger looking skin.